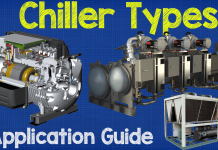 How does a chiller oil lubrication system work? 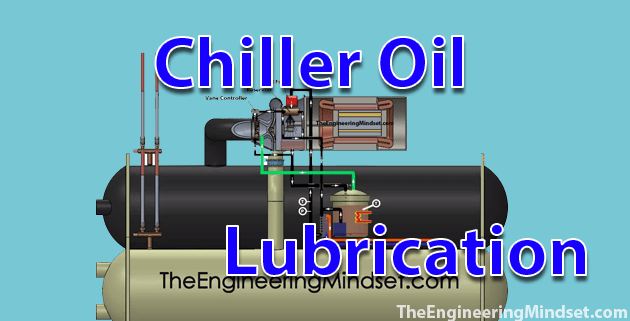 Chillers need to force oil around some of its internal components to provide lubrication and remove heat caused by friction. In some models the oil is used to control and adjust the movement of the vane guides which control the cooling capacity. The oil must be forced onto the surfaces of critical components such as the bearings and drive transmission to protect it from mechanical faults and prolong the life of the machine. If the flow of lubrication oil stopped, the machine would destroy itself because of the excessive heat that would build up. Luckily most chillers have inbuilt safety controls to prevent such scenario. A small submersible oil pump forces the oil around the system and sites within the sealed vessel. 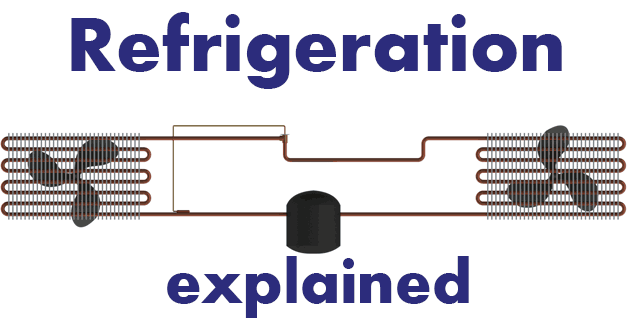 An electrical heating element also sits within the vessel to ensure oil it kept at the correct temperature, it will turn on and warm the oil if the temperature sensor detects that it is too low. 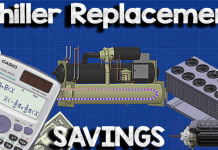 The oil pump forces the oil to mix into a return oil stream where it then enters the heat exchanger, usually of plate or shell and tube type design, where either refrigerant or cooling water also enters the heat exchanger to remove any unwanted heat to maintain a specified supply oil temperature. The oil is then sent up to the top of the compressor and will usually pass through an oil filter before entering a small oil reservoir. The filter helps to prevent foreign particles entering the moving components as these will damage the machine. The reservoir provides an emergency supply. 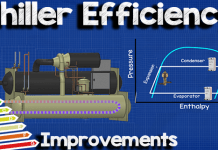 If the chiller suddenly lost electrical power, the oil pump would be unable to provide lubrication oil while the machine slowed down. The reservoir therefore provides a gravity fed supply of oil during this period until the rotating components have came to a complete stop. From the reservoir the oil is distributed to a few key components. In one stream the oil is sprayed as a fine mist over the drive transmission gears which ensures an even coat of oil. 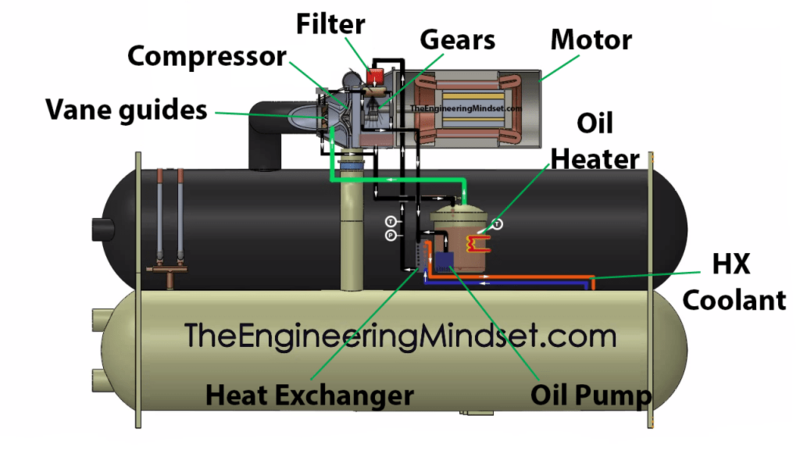 In another stream the oil is forced at high pressure onto the bearings and thrust bearings. It needs to be under high pressure to ensure it enters into all the small gaps and covers all the surfaces. The oil from the first stream, drive transmission, is then usually collected in a reservoir and sent back to the vessel so the sump pump can continue to force oil around the system. The oil from the second stream, bearings, is typically collected and sent straight back to the heat exchanger as it will be much hotter so needs to be cooled. As mentioned earlier, another stream is sometimes also used to control the position of the vane guides. 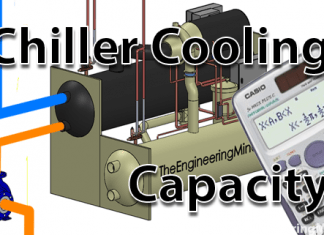 The chiller with use the pressure of the oil system to hydraulically move their position. My company have 3 chiller Mcquay WSC100MAZ71F. We have started use it 7 months ago. During Tet holiday i have stopped provide power for 3 sets. After holiday my company re-production I have run chiller machine. 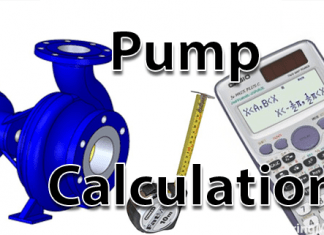 all of it has fault as ” COMPR STOP – Oil detal pressure low # 1″. Before holiday my operator have check lubrication oil level always on operation range. I don’t why is cause my chiller lost oil? Can you give me some advice and solution to fix this matter? Thank you so much. 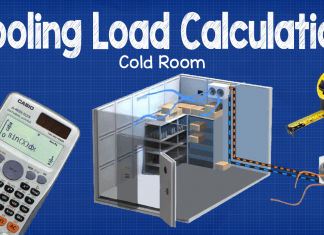 I just want to say thank you, I started work as a graduate engineer and got thrown into HVAC&R maintenance knowing nothing but thermodynamics which focused on the combustion cycle, refrigeration cycle and heat exchange through radiation, convection and conduction (I found it difficult to directly apply it practically when I had never heard of a chiller before). 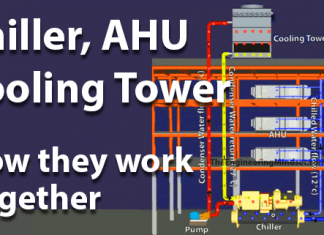 Your videos linked what I had learnt at university to what I was facing in the field and have laid a solid foundation for being able to provide technical support when dealing with chillers, AHU’s and essentially everything to do with HVAC&R. So, thank you very much for filling in all the blanks. Cheers to you!